I adore riding the bus, and I have since I turned 13. The first time I rode the bus was in the late 90s. I missed my school bus, so my older cousin dropped me off at the 47-route bus stop. I realized I could take the bus everywhere — it was empowering. However, fast forward more than a decade: riding the bus feels like a job. 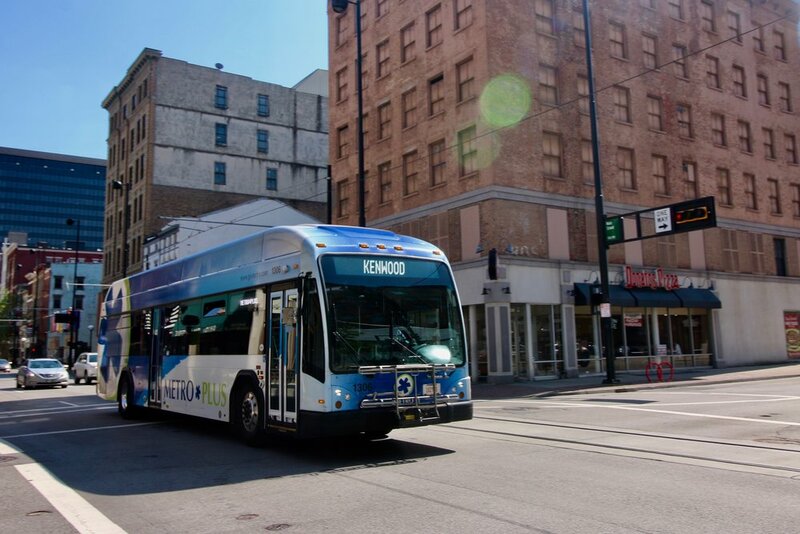 Using Metro in Cincinnati as my main source of transportation has become less reliable, more time-consuming and expensive. Routes have been restructured, but there is also more traffic, buses running late or not running at all during rush hours. Being a proficient bus rider means being tactical. I use two mobile apps when catching the bus: Cincy EZRide for tickets and Transit for scheduling. I encourage everyone to do the same since Transit gives a more accurate arrival time and location for each bus. But it also means mapping out several buses and routes to get to one location on time. My advice to anyone who plans on riding the bus to work is to try to live near two reliable bus routes that run seven days a week and into the night. This means living near main roads because many Metro buses don’t travel off of main roads into neighborhoods. I also map out my routes. I have a set of routs that will get me to my destination early , a set that will get me there on time, and a set that will get me there 10 to 15 minutes late. I usually map out my times the night before. If I must transfer, then I create a five to 10-minute cushion in case my first bus is running late, or not running at all. I also only travel in Zone 1, avoiding suburbs because of their unreliability and cost. For those who must travel to a suburb, not that travel times are only in the mornings and evenings, Monday to Friday on non-holiday dates because those routes mostly accommodate people who work in the city. Cincinnati’s bus system is becoming more stressful and unreliable. I worry that soon public transportation will not be able to accommodate the most vulnerable people in the city due to costs and route restrictions. Public transportation should be affordable, available and accessible to all.